Remember when Land Commissioner George P. Bush was considered a rising star? The Chronicle does. Four years ago we enthusiastically endorsed George P. Bush for land commissioner. We said he was “the real deal.” Turns out, we were really off. 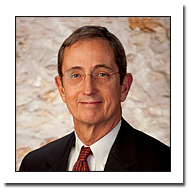 Bush’s predecessor in the office, Republican Jerry Patterson, not only has refused to endorse Bush. He is actually reaching across the aisle to endorse Democratic candidate Miguel Suazo. The defection from the party line is more widespread than a single Republican activist: Bush’s other Republican primary opponents — Rick Range, Davey Edwards and David Watts — all signed onto a letter with Patterson saying they would not be voting for Bush in November. In these divisive times, when allegiance to political parties has become tribal, the bipartisan objection to Bush says a lot. Suazo has our endorsement as well. In contrast to so many politicians who like to play a hardscrabble cowboy in campaign ads, Suazo, 37, has lived that role. He grew up on a cattle ranch and labored as a janitor to put himself through the University of New Mexico. He has experience working as a staffer on Capitol Hill for U.S. Sen. Jeff Bingaman, a New Mexico Democrat who retired in 2013. Today, Suazo works as an Austin-based energy and natural resources attorney and has an expert’s knowledge of oil and gas law, and water law. These are key issues for the man in charge of Texas’ oldest state agency. The position’s most important job involves the massive oil and gas reserves under state soil. Revenues from those mineral rights serve as a core asset for the state’s Permanent School Fund. See here for more on the Patterson endorsement, and read the rest for the Chron’s list of grievances against Bush. Bush was one of the top votegetters in 2014, and it’s a little hard to envision him losing even in a great Democratic year, but he’s not only been bad at his job, he’s also had his own share of headlines about questionable decisions and ethical morasses. In a state without Sid Miller and Ken Paxton, he might seem to be the most vulnerable statewide incumbent running. The fact that this is all barely a ripple says a lot about the Republican slate. Elsewhere, the Chron endorses more judges, and unlike the theme of these last three endorsement posts, they generally like the Republican incumbents. If it weren’t for the bail lawsuit, they would have endorsed an overwhelming number of them by now, with nearly all of the star-system ties going to the office-holder. Keep that in mind if you hear anyone grumble about bias. We have an agreement for a debate (mostly) between Greg Abbott and Lupe Valdez. Incumbent Republican Gov. 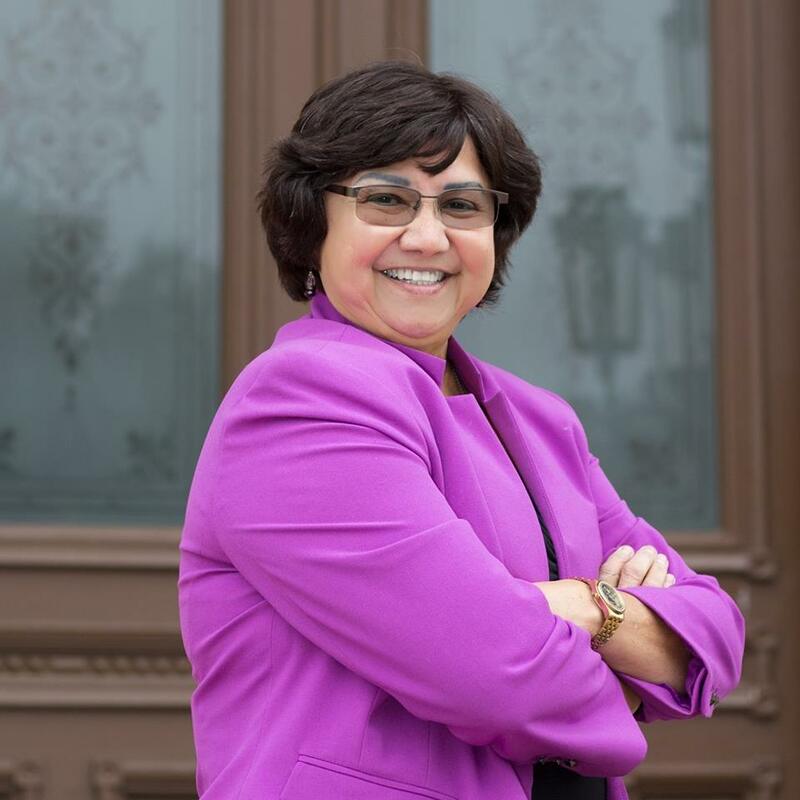 Greg Abbott agreed Wednesday to participate in a televised statewide debate with Democratic challenger Lupe Valdez, the first in the general election runup. Getting a debate scheduled at all is a decent accomplishment. I wouldn’t have been surprised in the least if Abbott had basically pretended he had no opponent and didn’t respond to any request for a debate. Don’t put too much hope in a better time slot, is what I’m saying. Meanwhile, Beto O’Rourke and Ted Cruz are debating the terms of their debates. O’Rourke, a Congressman from El Paso, said on Tuesday that he sent Cruz’s campaign a second letter calling for them to begin coordinating six debates before the Nov. 6 general election. O’Rourke wants two of the debates in Spanish. “At this critical moment for our country, when everything we are about is on the line, when the stakes couldn’t be higher, Texans deserve a serious debate on these issues and it’s a debate I want to have,” O’Rourke said in statement to the media. I feel reasonably confident saying that there will be fewer than six debates, and they will all be in English. Keep pushing for what you want, Beto, but be ready to settle and actually get debating. 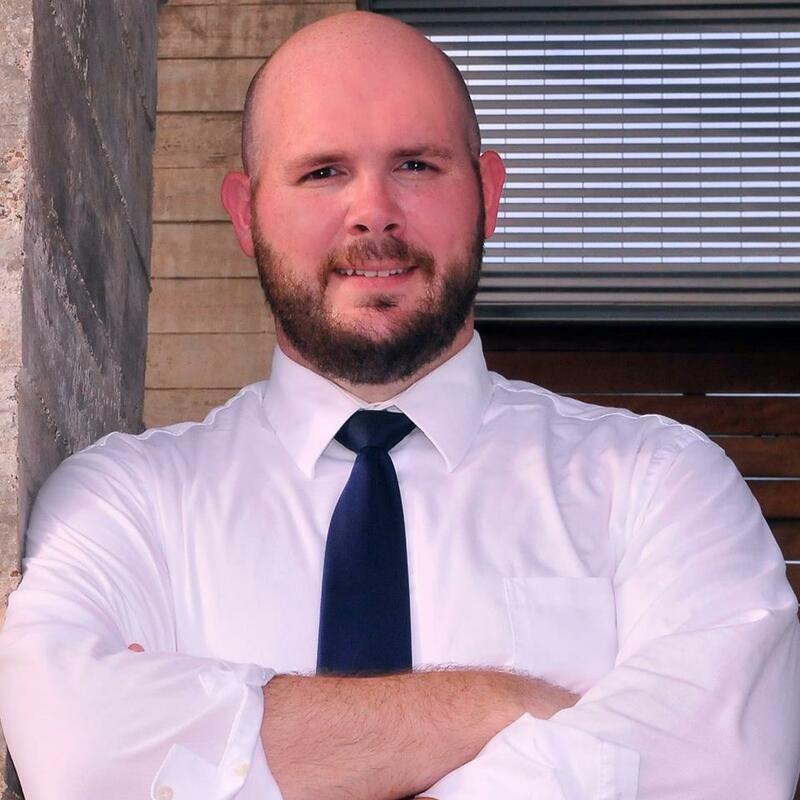 Miguel Suazo, the Democratic Nominee for Land Commissioner, is calling on George P. Bush to follow the lead of Greg Abbott and debate his Democratic challenger. The most appropriate place to debate might be the Texas Tribune Festival, but Suazo is open to debating anytime and any place. It would be nice to have debates for all the statewide offices. That’s what democracy is about, right? Good on Miguel Suazo for putting it out there. Here’s the statewide lineup for Democrats. I’ll add in some notes afterwards. Sema Hernandez was on the SOS filing page for a day or two, then disappeared from it until deadline day. I have no idea what was up with that. Edward Kimbrough is apparently from Houston. I can’t find anything online about him. There were two late filers in the Governor’s race, because apparently eight was not enough. James Jolly Clark is from Austin and appears to have been involved in some interesting lawsuits. Demetria Smith is a perennial candidate from Houston. Joi Chevalier is a culinary entrepreneur. At first glance at least, she appears to have an interesting profile. It would have been nice to have heard of her before now. Tex Morgan is a programmer in San Antonio who serves as a VIA Metropolitan Transit trustee, and has an even more interesting profile. Chris Spellmon was a candidate for HCDP Chair who ultimately endorsed Eartha Jean Johnson in that race. Some of these races are perhaps a bit more interesting than I expected them to be. I’ll do a separate post looking at Congressional and legislative candidates later. There weren’t any late entrants of interest for statewide races on the Republican side. Perhaps the most noteworthy thing is that Baby Bush got multiple challengers but no one opposed Ken Paxton. Given that there is a nonzero chance he could get convicted of a felony next year, that seems like a curious outcome. Hey, their problem, not mine. All 36 Congressional seats are contested, with 110 total candidates. 14 of 15 State Senate seats are contested, with 24 total candidates. 133 of 150 State House seats are contested, with 189 total candidates. Someone with a much more in depth knowledge of Texas’ political history will have to say when the last time was that we had a similar set of Democratic primary races. I’ll try to do a similar let-me-Google-that-for-you overview of these folks in the coming days, as time allows. Former U.S. Congressman Nick Lampson just filed to run as a Democrat for Jefferson County judge, KFDM/Fox 4 has learned. The deadline to file was 6 p.m. Lampson will not face an opponent in the primary, but is challenging Republican incumbent Jeff Branick in next November’s general election. I’m a longtime fan of Nick Lampson’s, so I’m happy to see him stay involved. The incumbent switched from D to R this year, so it would be nice to send him packing. Stace and RG Ratcliffe have more. You know what the solution to this is, right? Senate leaders warned Tuesday that Hurricane Harvey could put a billion-dollar hole in Texas’ budget, an ever-growing number that could affect how much money is available for other state programs. Only $20 million remains in the state disaster-assistance fund, Senate Finance Committee Chair Jane Nelson said at a public hearing Tuesday on the status of hurricane recovery efforts. The Legislature will not convene in a regular session until January 2019. The state has spent more than $1.7 billion so far in state funds, along with billions in federal assistance, according to updated numbers provided to the committee on Tuesday. Legislative Budget Board officials said as much as $2 billion in additional state funds may be needed in 2019 to cover hurricane-related school costs. [Land Commissioner George P.] Bush said that $1 billion in immediate state funding would allow temporary housing assistance to be speeded up. Those funds could be fully reimbursed later by the federal government, he said. State Sen. Royce West, D-Dallas, suggested those funds could be borrowed quickly from the state’s Rainy Day Fund – a savings account – to expedite the housing recovery for thousands of Texans, some of whom are living in tents. “We’d need to have a special session” to approve that borrowing, West said, drawing silence from other committee members. Yes, that is what the Rainy Day fund is for. Not specifically for disaster recovery – that was the bogus justification invented by Rick Perry in 2011 as an excuse for not alleviating cuts to the public education budget – but to help cover budget shortfalls in bad times. The choice is pretty simple, either we draw money from the Rainy Day fund to help the thousands of people who remain displaced by Harvey, or we decide they’re not worth our time and compassion. No wonder Sen. West got no response when he brought it up. Almost a decade after Hurricane Ike killed dozens of people and caused $30 billion in damage, a group of Texas politicians and business leaders say they finally have “all the support necessary” to break ground on a massive coastal barrier that would protect the Houston area from another devastating hurricane. Now they just need $15 billion to build it. And that’s what they urged the federal government to provide in a recent letter to President Donald Trump. Even for a president that has pledged to restore the nation’s crumbling infrastructure, the barrier will be a tough sell. Such an ambitious public works project has never been built in anticipation of a natural catastrophe. It took the Great Storm of 1900, which killed thousands of people in Galveston, to get a seawall constructed on the island; New Orleans’ failing levee system was not fixed until after Hurricane Katrina killed nearly 2,000 people in 2005; and only after Hurricane Sandy devastated New York did Congress allocate a significant amount of money to pay for storm protection studies. We know what Trump’s promises are worth, so take that “pledge” with an appropriate amount of sea salt. That said, there’s no real precedent for this as noted in the story, and it’s not like the Republican Congress is inclined to spend money on anything but the Pentagon and tax cuts for the rich. So yeah, go ahead and ask – it costs nothing to ask – but don’t get your hopes up. The Chron has more. “Your girl’s hot as s—, in the purple,” says Bush, who’s now a co-host of NBC’s “Today” show. I don’t have any snark to bring for this. It’s hardly a surprise, given all we know about Donald Trump, though it’s still shocking in a way that I didn’t think I could still be shocked. The coordinated national Republican response has been rolled out, and I’m sure we’ll be hearing a lot of it over the next thirty-something days. And sure enough, Dan Patrick was quick to “condemn” Trump for what he said. Of course, there’s literally nothing Trump could say or do that would persuade Dan Patrick that Donald Trump is manifestly unqualified and incapable of being President, so take it for what it’s worth. That leaves Ted Cruz, John Cornyn, Greg Abbott, Ken Paxton, George P. Bush, Sid Miller, and every other Texas Republican that has endorsed and worked to help elect Donald Trump to let us know what they have to say for themselves. Because as with Patrick, what they have to say about it will say a lot about themselves as well. UPDATE: What Josh Marshall says. Better to be P’ed off than P’ed on, as they say. Land Commissioner George P. Bush, who has not endorsed Donald Trump, is now asking Texas Republicans to support the party’s presidential nominee. Addressing state GOP activists Saturday, Bush said it was time to put aside any lingering animosity from the primaries — where Trump defeated Bush’s dad, former Florida Gov. Jeb Bush, among others — and get behind Trump. “From Team Bush, it’s a bitter pill to swallow, but you know what? You get back up and you help the man that won, and you make sure that we stop Hillary Clinton,” Bush said, according to video of the remarks provided by an audience member. Bush was speaking in his capacity as the Texas GOP’s victory chairman, who is responsible for overseeing the party’s statewide campaign in November. Bush had been criticized for taking the role without backing the party’s presidential nominee. Bush’s remarks Saturday were at a training meeting for members of the State Republican Executive Committee and county chairs. The group also heard from a Trump aide, Matt Mowers. Well, no one ever said that Baby Bush wasn’t a good little soldier. With his bending of the knee, every member of the state Republican leadership save for Speaker Joe Straus has now endorsed Trump. Some have been more vocal about it than others, while some have played the “let’s support our nominee, whose name must not be mentioned” game, but in the end they joined hands with other distinguished company in supporting their Great Leader. Hope it’s not too awkward for you next Thanksgiving, dude. Figure this will be on the legislative agenda next spring. At a Texas House hearing Tuesday looking into how some state agencies were able to keep some departing employees on the public payroll by granting them emergency leave, lawmakers expressed frustration that vague state rules may have allowed the practice. Lawmakers on the House Committee on General Investigating and Ethics were looking into whether heads of agencies have too much discretion when it comes to awarding emergency leave. “There’s going to be absolute certain change to this statute, but let’s work together to get it right,” said Committee Chairman Rep. John Kuempel, R-Seguin, during the hearing. Texas does not award severance pay to state employees, but recent news reports showed that Texas Attorney General Ken Paxton paid both his first assistant attorney general and communications director for months after they left the agency by categorizing both as being on emergency leave. Other reports revealed a similar practice in the General Land Office where departing employees continued to receive compensation, though not through emergency leave. Emergency leave is often used as a way of permitting state employees to take a leave of absence for a death in the family, but the law also allows agency heads to grant it for other unspecified situations. See here and here for the background. There’s a request for an investigation by the Rangers into the severances, but I don’t know where that stands. As a philosophical matter, I don’t particularly object to severance packages for state employees. There ought to be some limit on them, but I don’t think they need to be banned completely. The use of emergency leave as a form of severance package, done as a way of keeping people quiet as they’re being shown the door, is another matter, one that deserves a close look from the Lege. I don’t know what action they’ll take, but it will be something. The Chron has more. See here and here for the background. I had assumed someone would file a complaint over this sooner or later. The Rangers and the State Auditor can add it to their growing to-do list. The Chron has more. You get a severance! And you get a severance! Everybody gets a severance package! Texas Land Commissioner George P. Bush has spent nearly $1 million in taxpayer money to entice dozens of people fired by his administration to agree not to sue him or the agency, a practice that may run afoul of a ban on severance pay for state workers. Bush, a first-term Republican, has directed the General Land Office to keep at least 40 people on the payroll for as long as five months after ending their employment, according to an analysis of records obtained by the Houston Chronicle. The ex-staffers did not have to use vacation time, and, in fact, continued to accrue more time for as long as they were on the payroll. In return, they agreed in writing not to sue the agency or discuss the deal. Many of the recipients were top aides to former Land Commissioner Jerry Patterson who were fired during an agency “reboot” in which Bush replaced more than 100 employees. Such separation arrangements are made frequently in the corporate world, but are not allowed in Texas government, where there is no severance and staffers generally are required to work to be paid, according to employment lawyers, union leaders and former state officials. Malinda Gaul, a San Antonio employment lawyer who has represented state workers for 33 years, said she had never heard of such an arrangement. Steve Aragon, a former general counsel for the Health and Human Services Commission, said he thinks there are justifiable reasons to pay employees for not working, including to prevent litigation in cases in which it was clear that a staffer likely would not come back. However, he said, it is not something that state agencies should do frequently. “These situations should be exceptional and would not be expected as a matter of routine,” Aragon said. Others objected to any use of the practice, including Seth Hutchinson, a spokesman for the Texas State Employees Union. After being told that it is not uncommon in the corporate world, Hutchinson scoffed. “State government should be held to a higher standard of accountability,” he said. This is getting to be quite the pattern, isn’t it? It’s almost like Baby Bush and Ken Paxton and Sid Miller have no regard for the law but only care about their own interests. 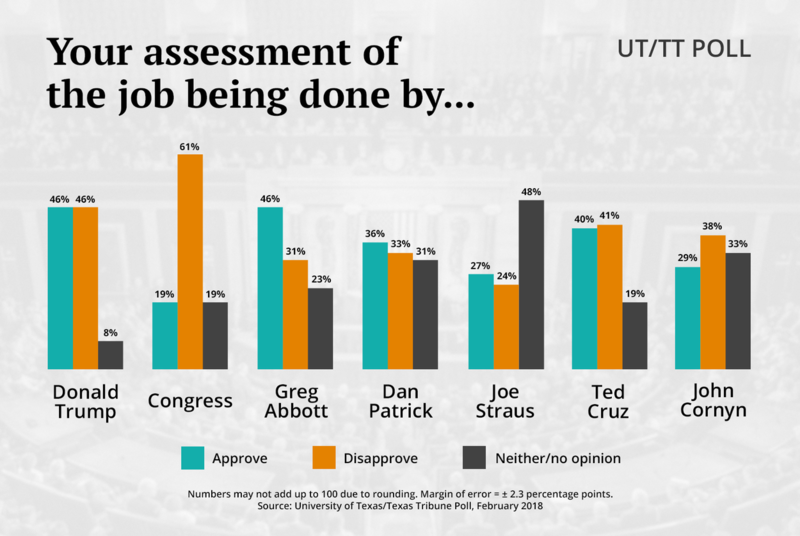 I presume someone will file a complaint about this, thus providing Greg Abbott another opportunity to profess ignorance about what’s happening in his government. Keep it up, fellas. After nearly a decade of bickering and finger pointing, Texas scientists and lawmakers finally seem to agree that building some version of a “coastal spine” — a massive seawall and floodgate system — would best help protect the Houston region from a devastating hurricane. But with a price tag sure to reach into the billions, the spine will almost certainly require a massive infusion of federal money, state officials agree. 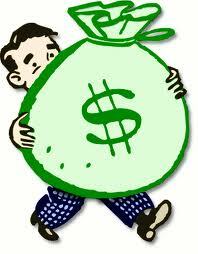 Whether Texas’ congressional delegation has the political backbone to deliver the cash remains to be seen. While state officials say the project enjoys the full support of Texans in Congress, almost every member has been silent on the issue, including those who hold the most sway. In March, The Texas Tribune and ProPublica published an extensive look at what Houston’s perfect storm would look like. Scientists, experts, and public officials say that such a hurricane would kill thousands and cripple the national economy. 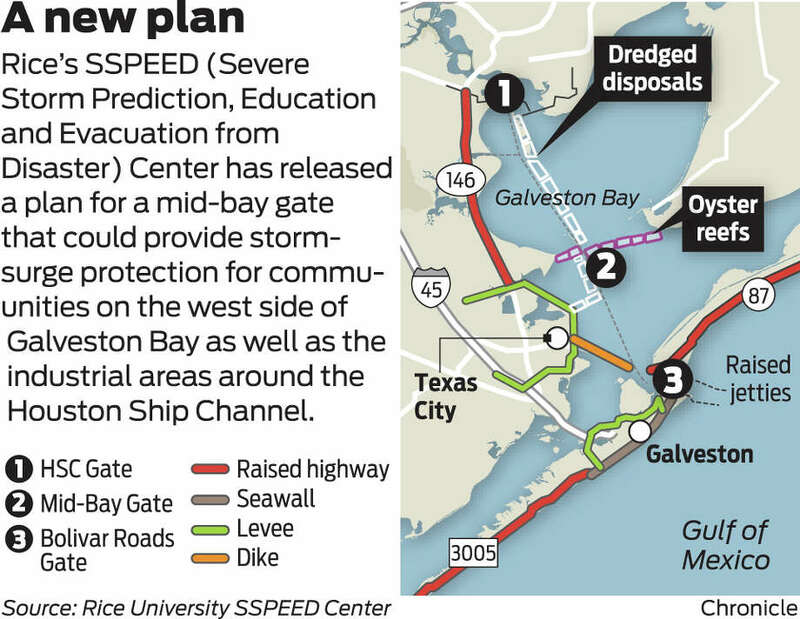 Building some sort of coastal barrier system around Galveston and Houston would rank as one of the nation’s most ambitious public works projects and would be unlikely to succeed without champions in Washington. State leaders and Houston-area congressmen cited U.S. Sen. John Cornyn and Rep. Kevin Brady of Houston as those most likely to fill the role of standard bearer. Cornyn and Brady, both Republicans, declined repeated interview requests about the coastal project over a period of months. The state’s junior senator, Ted Cruz, is busy running for president, and his staff has said he is waiting results of further studies. Of the 36 members representing Texas in the U.S. House of Representatives, only five agreed to interviews on the subject. At the state level, Texas Land Commissioner George P. Bush, who has made coastal protection one of his top priorities, said he hopes for support from Brady, who chairs one of the most powerful committees in the U.S. House. He also mentioned Cornyn. Congressman Randy Weber, a Republican from Friendswood, said he is already pushing the issue, but added that a senator’s support will be critical. “John Cornyn, of course, a senior senator, majority whip over on the Senate side, would be a great one to champion the cause,” he said. The U.S. Army Corps of Engineers also just started studying the issue, and Cornyn’s office emphasized that he signed a letter last October in support of that effort. But the study will take at least five years. In another letter sent last November, 32 members of the House delegation urged the Army Corps to speed up the process even though it is at the mercy of funding from Congress. Meanwhile, the next hurricane season is just two months away. Republican Congressman Pete Olson said the Corps is taking too long and should have started its efforts earlier. But for years it didn’t have the money to study hurricane protection for the Houston region. The agency was able to start last fall only because the Texas General Land Office agreed to pay for half the $20 million study at the insistence of Bush. Congress is supposed to provide the rest, but the Army Corps will have to ask for it every year until the study is complete. Asked if he thinks Congress will commit to the $10 million, Olson said the Corps had never given him that dollar figure. “They told you that, but not me that,” he said. Weber said he thinks the federal government should help pay for a hurricane protection barrier, but he wouldn’t comment on whether his colleagues in Congress agree with him. “I don’t know, well, maybe,” he said. See here, here, and here for the background. I say the odds of Congress agreeing to pony up some $10 billion or so for a coastal floodgate system are pretty damn low. I cannot imagine Randy Weber’s nihilistic teabagger caucus members going along with it. Hell, I’d bet money right now that the Texas Republican Congressional caucus is not all on board with the idea, and I’ll even exclude Ted Cruz from consideration. Look at the recent track record of Congressional Republicans not wanting to appropriate funds to places that had been hit by actual disasters (two words: Superstorm Sandy) and ask yourself why they would vote to spend money on a disaster that hasn’t happened and may never do so in their lifetime. All spending is political now, and the death of earmarks makes dealmaking a lot harder. The fact that there isn’t unanimity about the best kind of flood mitigation system doesn’t help, either. Maybe someday, in a different political climate, but not now. Don’t be surprised if you see another article like this being written a couple of years from now. Instead, the wells sit on the corner of Bonnie Brae and Scripture Street. Across the way: Texas Health Presbyterian Hospital. Across another street: the basketball court, picnic tables and purple playground of McKenna Park. That was where Range Resources, a company based in Fort Worth, wanted to start drilling and fracking in 2009. McMullen, who at that time had just moved into a house about 1,500 feet away from the proposed site, joined others in raising concerns about bringing the gas industry and hydraulic fracturing — widely known as fracking — so close to where kids play. Fracking, which involves blasting apart underground rock with millions of gallons of chemical-laced water to free up oil and gas, “is a brutal, brutal process for people living around it,” McMullen says. Their efforts in city hall failed. If McMullen felt invisible five years ago, she doesn’t anymore. Today, state lawmakers, the oil and gas industry and national environmental groups have become acutely aware of Denton, home to two universities, 277 gas wells and now, thanks to a rag-tag group of local activists, Texas’ first ban on fracking. Thrust into the saga is George P. Bush, who in January will take the helm of the Texas General Land Office, an otherwise obscure office that manages mineral rights on millions of acres of state-owned property. In his first political office, Jeb’s eldest son and George W.’s nephew will inherit one of two major lawsuits filed against Denton, home to a sliver of that mineral portfolio. “We don’t need a patchwork approach to drilling regulations across the state,” Bush, a former energy investment consultant, told The Texas Tribune in July as the anti-fracking campaign gained steam. It appears to be his only public statement on the issue. Bush’s role in the dispute — however peripheral — only brightens the spotlight on Denton, and it forces him and others to choose between two interests Texans hold dear: petroleum and local control. I’m sorry, but the idea that “local control” is a dearly-held ideal, especially by Republicans, is a complete myth. 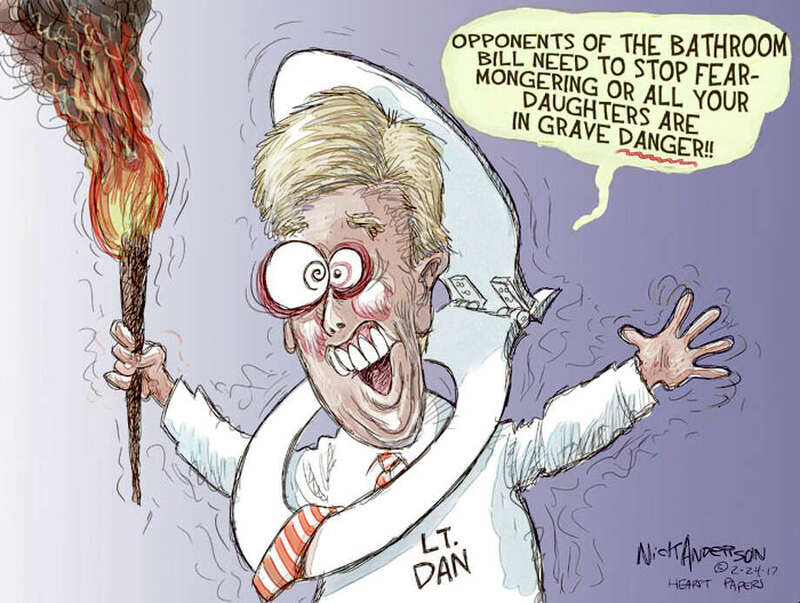 Just look at the myriad bills Republican legislators have introduced in recent sessions and/or will introduce this session to limit or eliminate the ability of cities to pass and enforce anti-discrimination ordinances and to regulate a wide variety of things, from fracking to single use plastic bags to payday lending. Throw in other top legislative priorities to require cities to enforce federal immigration laws and to limit their revenue growth via tighter appraisal caps on top of that. As I said before, Republicans are at least as interested nowadays in nullifying municipal laws as they are of nullifying federal laws. Whatever fealty there is to the idea of “local control” has long gone out the window any time some local entity has tried to do something state Republicans – or more specifically, their corporate masters – don’t like. It’s time we recognized that. McMullen’s group — Frack Free Denton — persuaded nearly 59 percent of Denton voters to approve a fracking ban on Nov. 4, after knocking on doors, staging puppet shows and performing song-and-dance numbers. The movement had help from Earthworks, a national environmental group, but its opponents — backed by the oil and gas lobby — raised more than $700,000 to spend on mailers and television ads and a high-profile public relations and polling firm. That was more than 10 times what Frack Free Denton collected. But Denton’s voting records cast doubt on that argument. It’s not clear that college students turned out in high enough numbers to single-handedly tilt the vote. Voters closer to campuses overwhelmingly supported the ban, as well as Democrat Wendy Davis in the race for governor. But plenty of conservatives also rejected fracking. Both Republican Greg Abbott, who ultimately defeated Davis, and the ban prevailed in 11 of Denton’s biggest 33 precincts. Roughly 25,000 votes were cast in the fracking question and those opposed to fracking outpaced supporters by some 4,400 votes. Denton would have still passed the measure by 412 votes even if voters younger than 30 were disregarded. Voting data also shows that the average age of a voter was 52. I’ve mentioned before that Democratic turnout in Denton was helped by the referendum, and that’s good, but it could and should have been better. I wonder how many people in Denton voted for the fracking ban and also voted for Ryan Sitton for Railroad Commissioner and George P. Bush for Land Commissioner, perhaps without realizing that by doing so they were partially undermining their own vote. Some of that was probably force of habit – partisan affiliation is strong – some of it was probably just not making the connection. I’m sure there were missed opportunities for Dems to work with the anti-fracking folks to help make that connection. Of course, that can be a dicey proposition when you need Republican support to win and thus need for your effort to appear as non-partisan as possible so as not to turn any of those folks off, and besides I’m sure it would have been difficult to get that message through when the city is already drowning in pro- and anti-fracking ads. I don’t have a good answer here, I’m just saying this is the sort of thing we need to be thinking about. A former probate court staff attorney, Democratic challenger Jerry Simoneaux is the right choice for this bench. A certified mediator who has practiced probate law for 13 years, Simoneaux, 48, graduated from the South Texas College of Law. Incumbent Republican Judge Rory Robert Olsen has presided over this court since 1999. With a law degree from Duke University, an LLM from Southern Methodist University and a Master of Judicial Studies from the University of Nevada, Olsen, 65, has become an expert on the bench when it comes to mental health issues in probate. A prolific writer on the topic, he has recently worked on an assisted-outpatient treatment program with the Mental Health and Mental Retardation Authority of Harris County. However, Olsen’s energy has begun to fade, and he has developed a reputation as an inconsistent judge. Voters should thank him for his years of service and send him out on a high note. As it happens, Simoneaux is the one candidate out of four for whom I have not yet received Q&A responses. I previously published Q&As with James Horwitz and Kim Bohannon Hoesl, and will have one with Josefina Rendon next week. But voters should know that Cornyn is a Republican first and a Texan second. For a man who has served in elected office since 1986, Cornyn remains unfocused on issues of importance to Houston and the Gulf Coast. The Republican nominee, lawyer and state Sen. Ken Paxton of McKinney, is undeserving of consideration. Paxton was fined $1,000 and still may face a felony investigation. 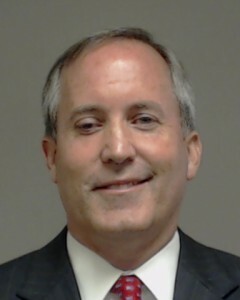 In May, state securities regulators found Paxton sent clients to an investment firm without registering or disclosing his own paid role. It happened three times. A 2012 violation is within the five-year statute of limitations. No candidate to lead “the people’s law firm” should ever have misled a client, a state board or the people of Texas. Anyone want to argue with that? 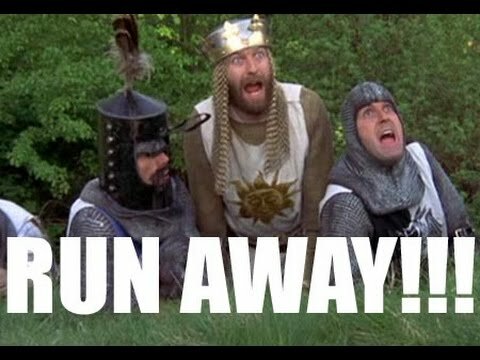 By the way, there apparently was a Ken Paxton sighting the other day, in which Paxton admitted in passive-voice fashion that he had indeed committed a crime but that he stands lawyered-up and ready to fight the charges against him when they are finally filed. If that’s not a compelling campaign story, I don’t know what is. Finally, the DMN went red in the races for Land Commissioner, Ag Commissioner, and Railroad Commissioner, in the latter case because they valued industry experience more than not being another industry insider, in the former case because they naively think Baby Bush might somehow turn out to be Not That Kind Of Republican, and in the middle case for reasons unclear. Maybe Sid Miller was the only one that showed up, I dunno. I think everyone agrees the Denton anti-fracking referendum will wind up in court if it passes. It’s just a question of how wired the courts will be for the plaintiffs. Voters will decide whether the city will become the state’s first to ban hydraulic fracturing, or fracking – the method of oil and gas extraction that has led to a domestic energy boom. But passage of a ban would probably trigger another fracking fight: a legal clash over a city’s power to regulate for health and safety and the rights of mineral owners to develop their resources. The outcome could reshape Texas law at a time when drilling is causing tension in some of its urban areas. “It’s going to be one of those first-time tests, and I don’t think there’s a clear answer out there in Texas law,” said Jim Bradbury, a Fort Worth-based lawyer who focuses on environmental and energy issues. The Denton measure would not prohibit drilling outright; it would apply only to fracking, which involves blasting apart rock with millions of gallons of chemical-laced water hauled in by trucks. After gathering nearly 2,000 signatures on a petition calling for a ban on fracking, opponents forced the City Council to vote on it. Council members rejected the proposal last week, leaving the decision to voters. Denton, a city of 121,000 with more than 270 gas wells scattered among its neighborhoods, is one of several cities that has tried to ban fracking. That includes towns in New York, whose highest court last month upheld local ordinances banning the practice. The state of Colorado has sued its cities that have banned fracking and is pushing back against ballot measures that would toughen regulations. The prospect of such a ban in Texas – a leading oil and natural gas producer — has put Denton in a bright spotlight, rankling industry leaders and the state”s Republican leadership. “If one community after another continues to say ‘Not in my backyard,’ then before long, a tsunami of exclusion will jeopardize our freedom as a country profits as a corporate entity,” said Chris Faulkner, the chief executive of Breitling Energy in Dallas, one of many industry representatives who spoke at City Hall before the Council”s vote. I fixed your quote for you, Chris. The debasement of the word “freedom” is one of the great travesties of the 21st century so far. Though Texas courts have occasionally considered cities’ drilling regulations, they have yet to see a case of such size and scope, legal experts say. The state has long regulated most aspects of drilling, including well integrity, pipeline safety, and air and water impact, while cities have typically controlled noise and authorized the location of wells or related facilities like compressor stations. Now, a key question is where fracking falls in that spectrum. Tom Phillips, chief justice of the Texas Supreme Court from 1988 to 2004, said he would expect courts to side with the energy industry — by ruling that the ban unconstitutionally supersedes state law or that it makes gas beneath the city too difficult to tap and amounts to a taking. Phillips, now a lawyer with the firm of Baker Botts, who was asked to review the proposal for the Texas Oil and Gas Association, said state law gave cities less stringent options for protecting health and safety at well sites, and that Denton “can’t just say no” to fracking. Other legal experts acknowledge that state high courts tend to favor oil and gas interests, but say that Denton could make a compelling argument that a fracking ban would not wipe out all options to drill. See here for the background. It’s hard to be optimistic about how the courts might rule if you’re a ban supporter, but I suppose anything is possible. And I’ll say again, if the Railroad Commission wasn’t such an utter lapdog for the industry and people in places like Denton had any reason to believe that true regulatory oversight with actual enforcement was in place, this referendum would not exist. There would be no need for it. Jerry Patterson, Texas’ outgoing land commissioner, warned in a letter last week that the state would “pursue any available remedy to ensure the right to develop” those minerals. George P. Bush, the Republican nominee in this year’s election to succeed Patterson, said he supported that stance. “We don’t need a patchwork approach to drilling regulations across the state,” he said. But John Cook, Bush’s Democratic opponent, disagreed, saying that “local communities need to have a say” in quality-of-life issues. Know who you’re voting for this fall, people of Denton.